Note cards are available flat, folded and panel in many sizes and colors. We have note cards for all occasions and all price ranges. When you want a note card to personalize your communication or just to say "thank you" to a special person, you'll find just the right note card for your project in this shop. Whether you’re designing your own custom stationery or need flat cards for printing special occasion correspondence, The Paper Mill Store’s selection of blank notecards surely includes an option that’s tailor-made to your job. Here, you can easily narrow your search by size, color, weight, finish and brand, so you can be sure you’ll get the perfect cards no matter how specific and challenging your needs. From classic ecru card stock to silky-smooth colored cards, this selection is teeming with the perfect blank notecards for printing, writing, crafting and beyond. Some of the more popular uses for notecards include printing announcements, invitations, thank you notes and save-the-date cards. Because we have so many different sizes and options — including both flat and folded notecards — you can even use them to print custom greeting cards, postcards or holiday cards. These stationery cards feature a heavier weight for a more elegant or professional feel, with most options in the 80 lb. cover category. We also offer 96 lb. cover notecards for those who prefer a weightier feel. Need envelopes for your notecards? 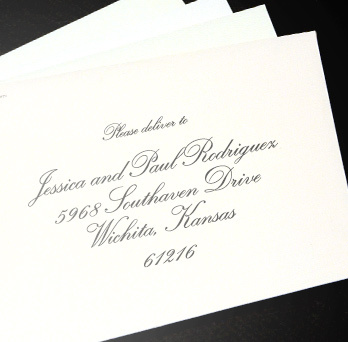 Check out our extensive selection of 1000's of available Envelopes. Looking to minimize time and effort spent on an upcoming project? 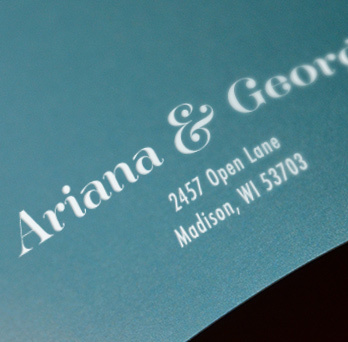 Start with card stock cards and envelopes with custom printing from The Paper Mill Store. We’re happy to provide you with custom-printed envelopes — including full-service recipient address printing — that will help save you time and effort when you’re trying to get cards mailed.